You shall go to the ball! 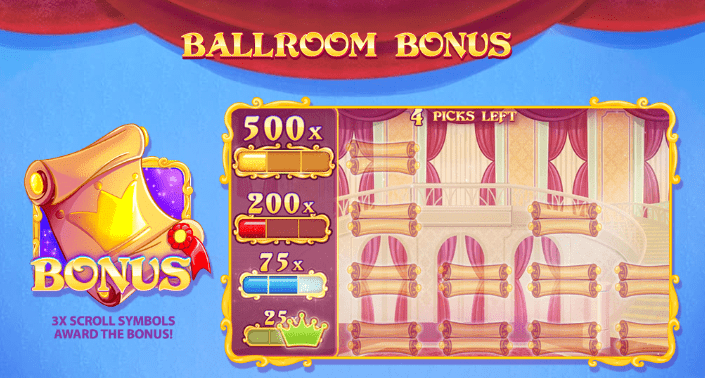 Your wishes and dreams may just come true in this new video slots UK game, Cinderella's Ball. It is a 5 reel, 20 payline slot developed by Red Tiger Gaming. Just like Cinderella, you could go from rags to riches with a bippity boppity boo. The fairy godmother will bring you lots of treasures and delights in exciting features such as the ballroom bonus feature, slipper trail feature, and fairy magic feature. The design of Cinderella's Ball is just as magical as its features with sparkling scenes of a true fairytale with castles, pumpkin carriages, and glass slippers galore. Cinderella's Ball is based on the classic fairytale of Cinderella. Cinderella dreams of a better life, one without her wicked stepmother and ugly stepsisters but instead with Prince Charming, sparkly dresses, and lots of cash. 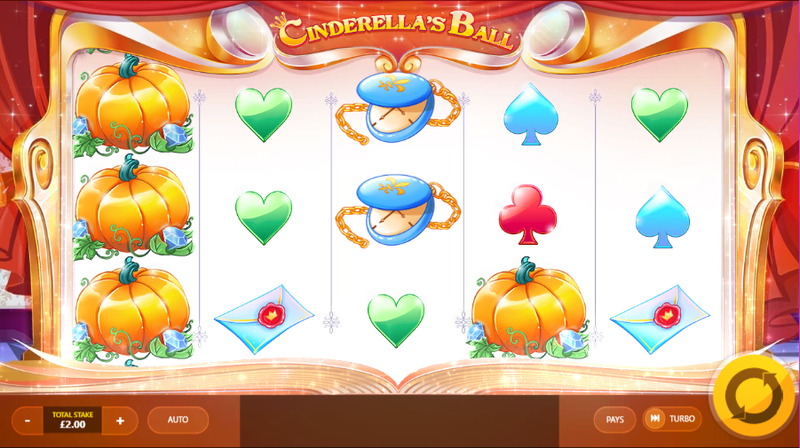 Cinderella's Ball, a 5 reel, 20 payline slot may just make your dreams come true too. This Red Tiger Gaming Slot has a beautiful design. what else would you expect from https://www.slotsbaby.com/? It looks like a page that has been lifted from a fairytale book. The design is bright and fun with lots of added girliness and sparkle. There's a variety of princess-themed symbols including a big castle, pumpkin carriage, magic wand, a letter from Prince Charming, and glass slippers. The Wild Symbol - The wild symbol is the glass slipper. Landing 3, 4 or 5 glass slippers will award you 50, 100, or 800 coins respectively. Ballroom Bonus Feature - Landing 3 bonus symbols will activate the ballroom bonus feature. Once activated, you will be presented with various scrolls. When you find 3 matching scrolls, you'll be awarded a prize of up to 800x your total stake. Free Spins Feature - Landing 3 free spins symbols will unlock the free spins feature. Here you will be awarded a random number of free spins. Slipper Trail Feature - The first of the four mini-games is the slipper trail feature. A trail of glass slippers will appear on the reels creating exciting wins. Carriage Spin Feature - In the carriage spin feature, you'll see the pumpkin carriage drive across the reels. This will cause reels to spin to form winning combinations. Fairy Magic Feature - "With a wave of my magic wand, your troubles will soon be gone". These are true words spoken by the fairy godmother who will wave her magic wand across the reels leaving behind a trail of matching symbols. Clock Strike Feature - Once the clocks strike midnight, the reels will reverse. This is quite a fun games as a winning combination is guaranteed. Red Tiger Gaming, based in the Isle of Man, was founded in 2014. Red Tiger Gaming are relatively new to the online casino industry, however, in the short time they have been around, they have created some top games. They offer high-quality, entertaining slots with beautiful 3D animations and innovative features. With over 50 games to choose from, you're bound to find something you love whether you prefer games with an Asian, Egyptian, gem, or leprechaun theme. Every Red Tiger Gaming slot also comes with a great set of features. These include entertaining stacked wilds, bonus games, and free spins. If you're looking for fun Red Tiger Gaming slots, why not take a look a these? Cinderella's Ball is certainly an adventure. Everything from the adorable fairytale 3D animations to the joyful soundtrack and fun features is magical. Cinderella's Ball is very entertaining as there are so many feature and mini-features to get involved in. With prizes of up to 800x your total stake on offer, a happily ever after could happen sooner than you think. now why dont you go check out our other games on https://www.slotsbaby.com.